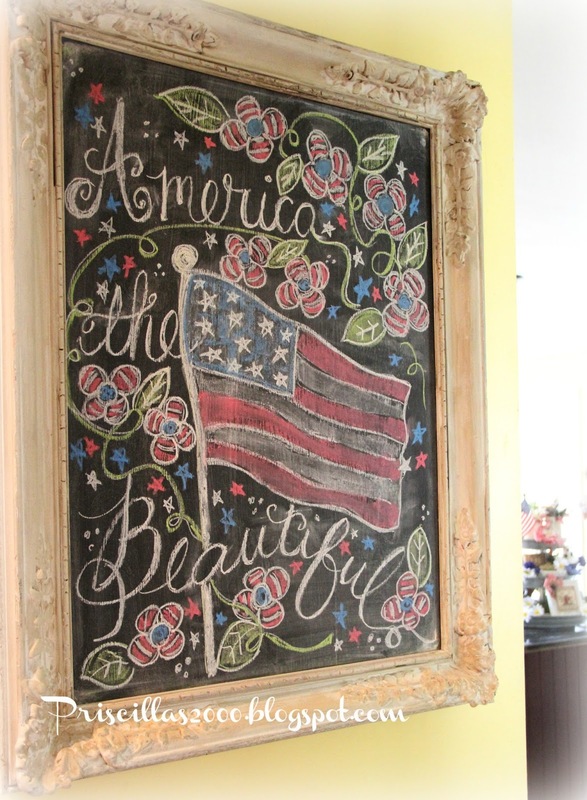 Today lets take a tour of the chalkboards of 2016! 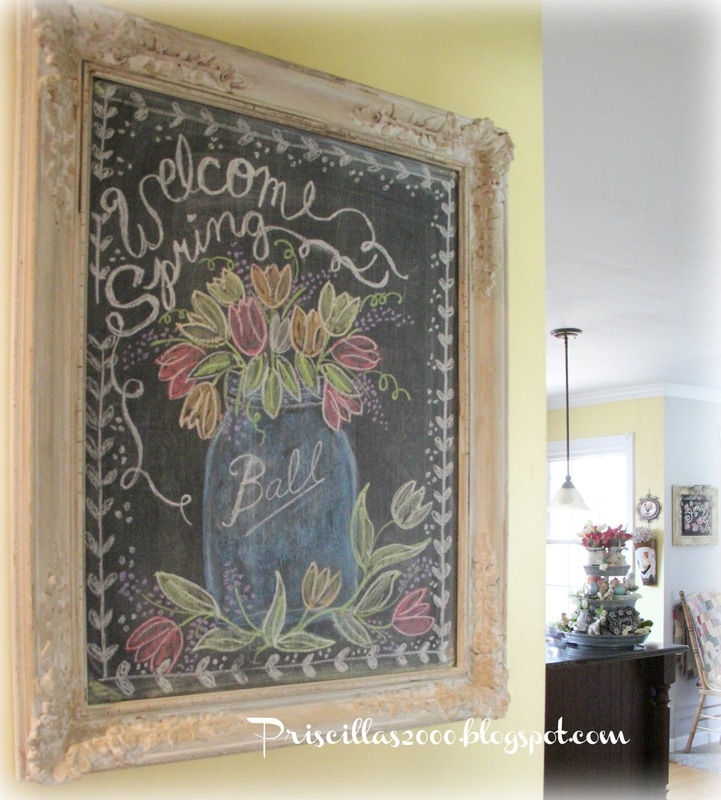 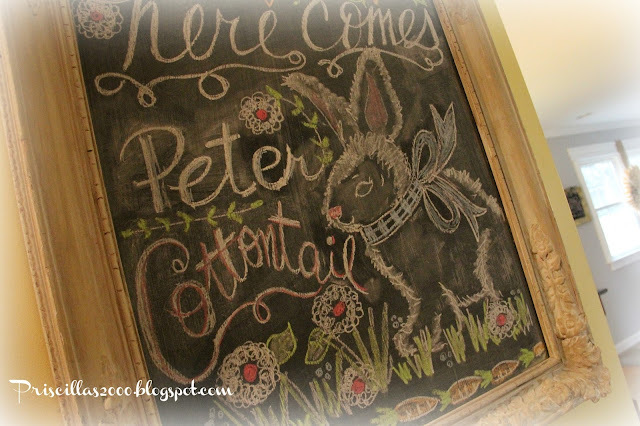 The winter chalkboard is this cute snowman ..
Spring is a Mason Jar full of tulips..
Peter Cottontailwas our Easter decor.. 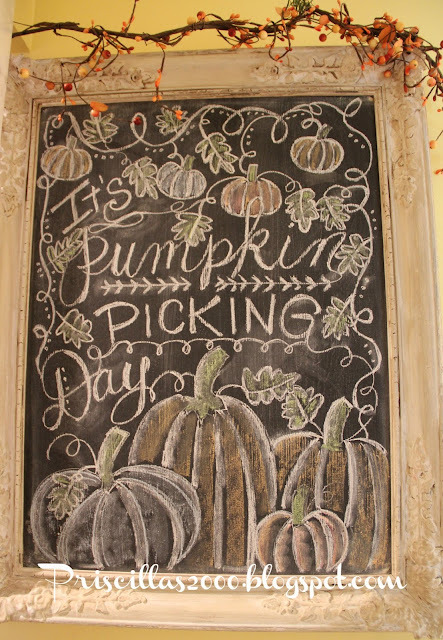 The patriotic summer holidays were all red, white and blue..
Late summer is a house surrounded by sunflowers..
September was all about picking pumpkins! Fall on the mantel included a pumpkin chalkboard..
Those pumpkin picking pumpkins got turned into Jack O Lanterns for Halloween! 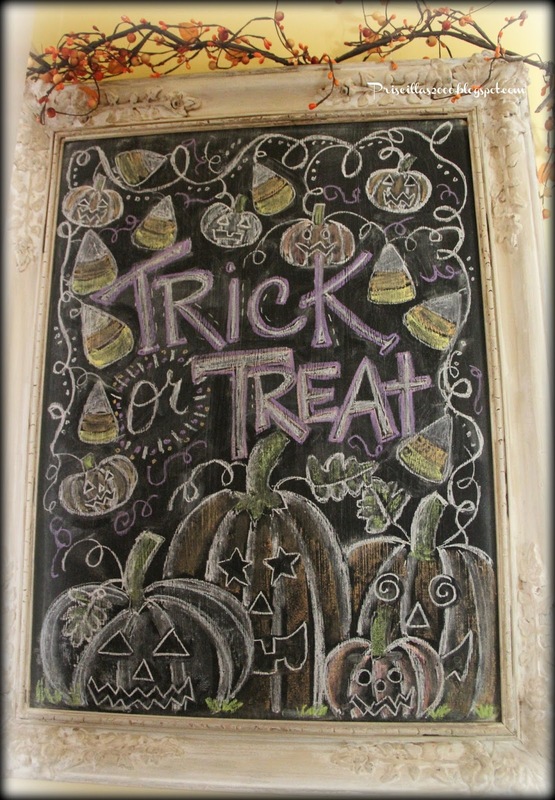 Halloween on the mantel was a knockoff of the Halloween Seasons in Chalk! 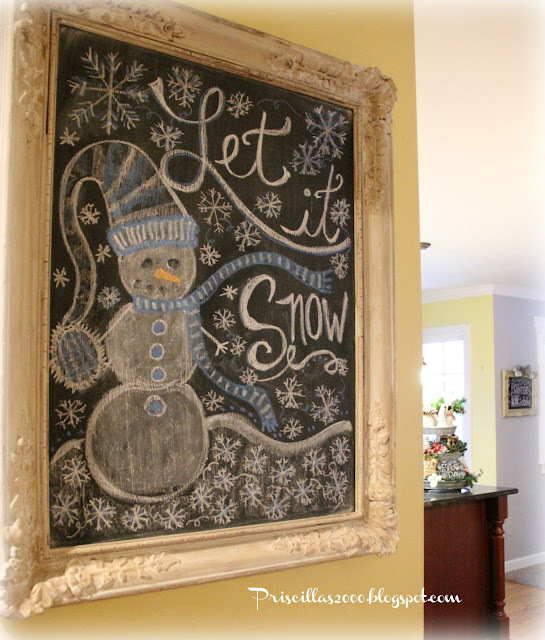 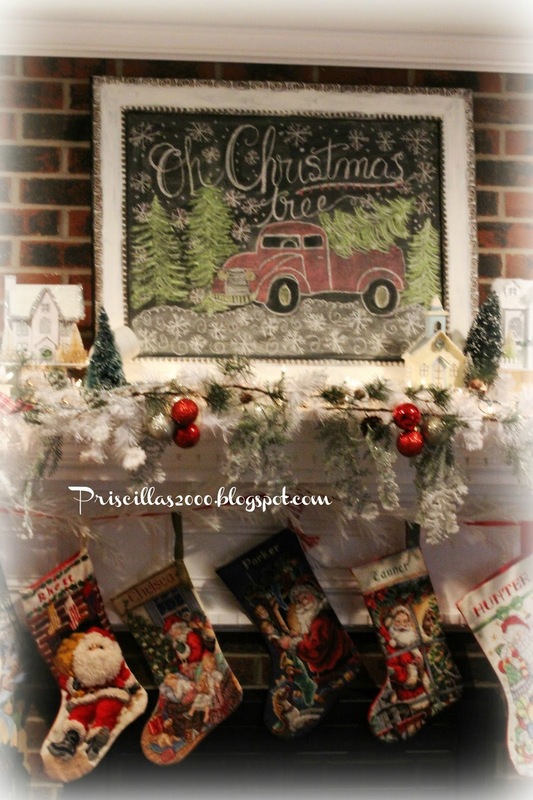 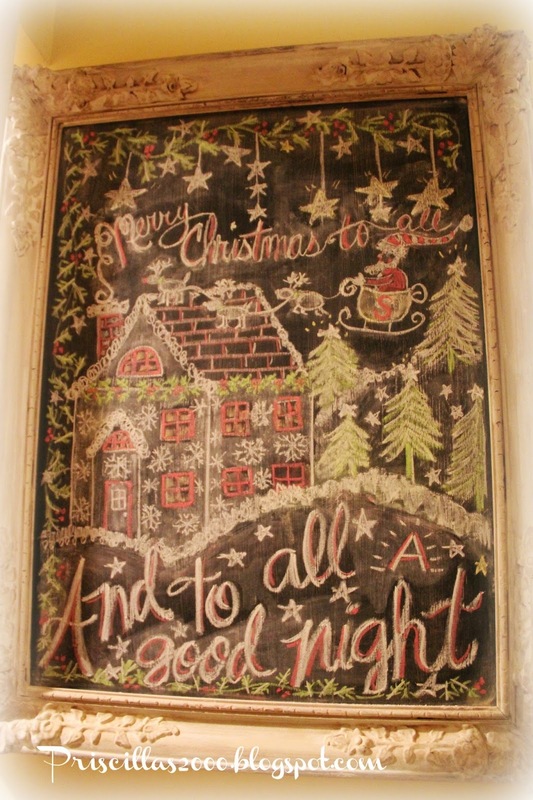 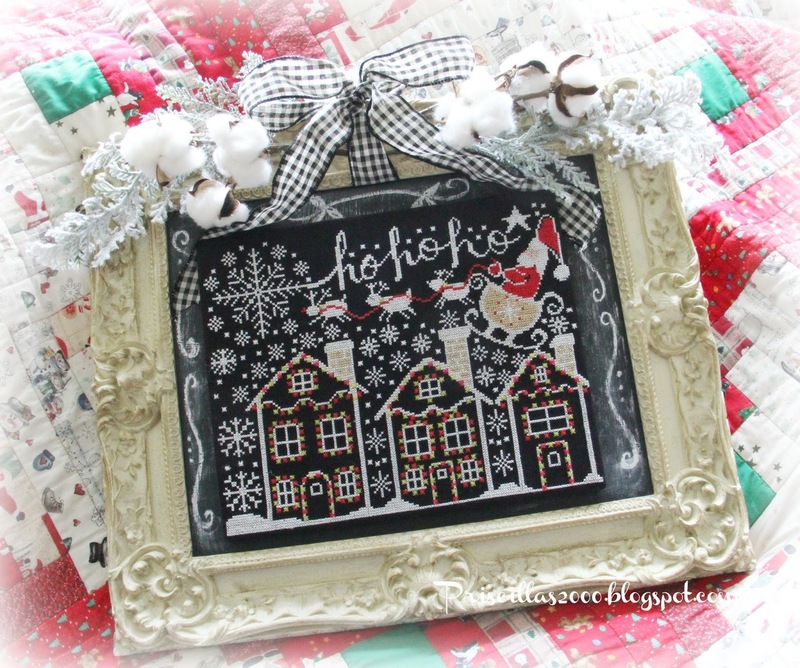 Christmas on the mantel ..
and I am including all the Seasons in Chalk ..since chalkboards were all drawn for them! 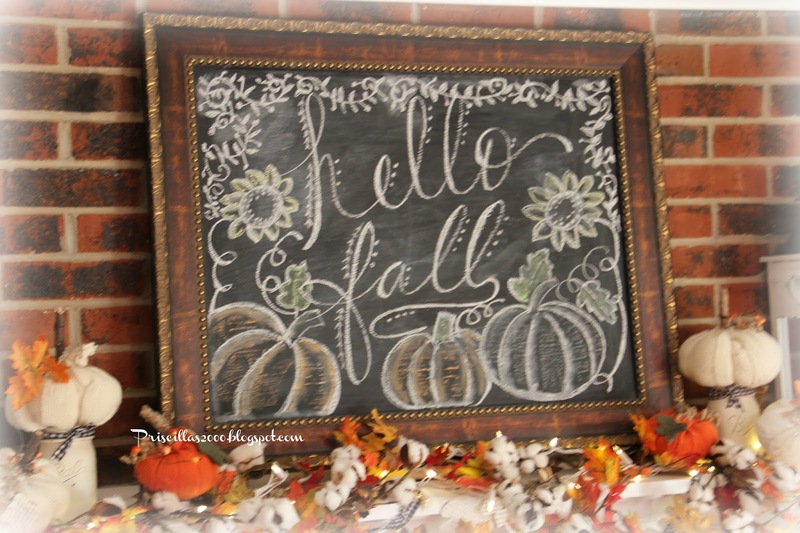 I have a question . 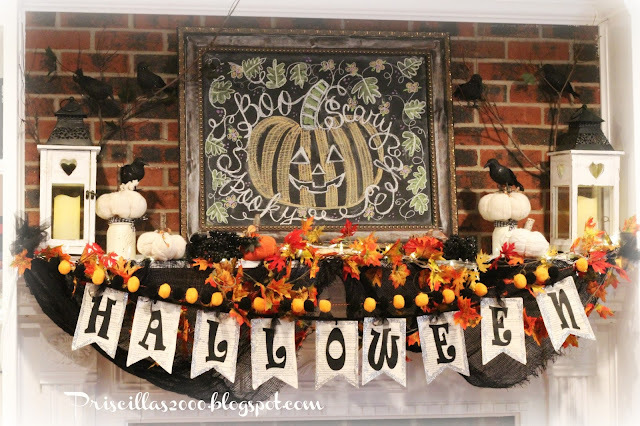 . . exactly where did you get the Judith Kirby Halloween House pattern? 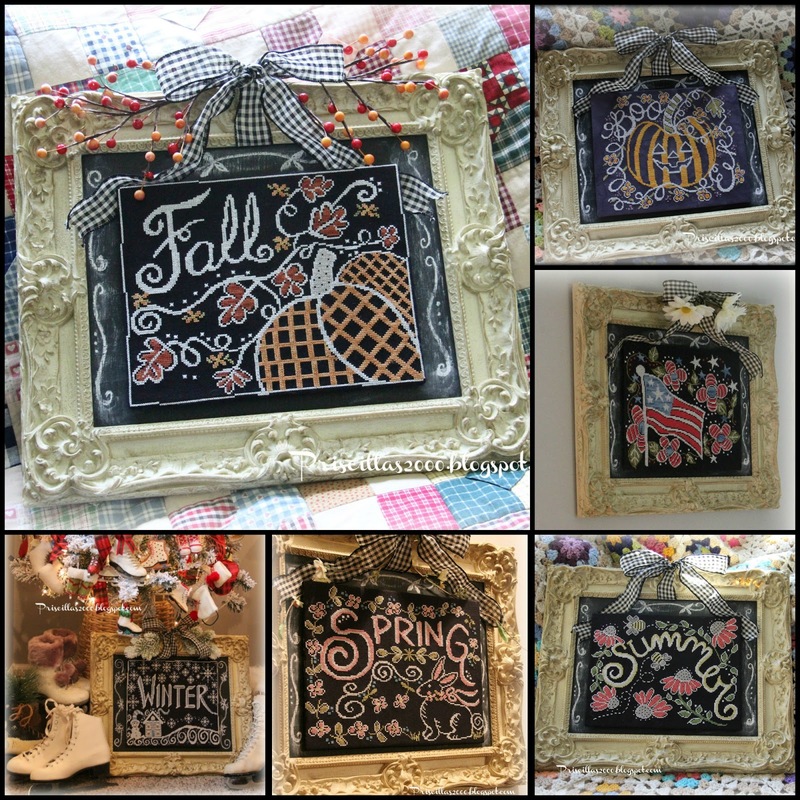 I see lots of examples on the internet, but no patterns! And it is the CUTEST Halloween x stitch I've ever seen! 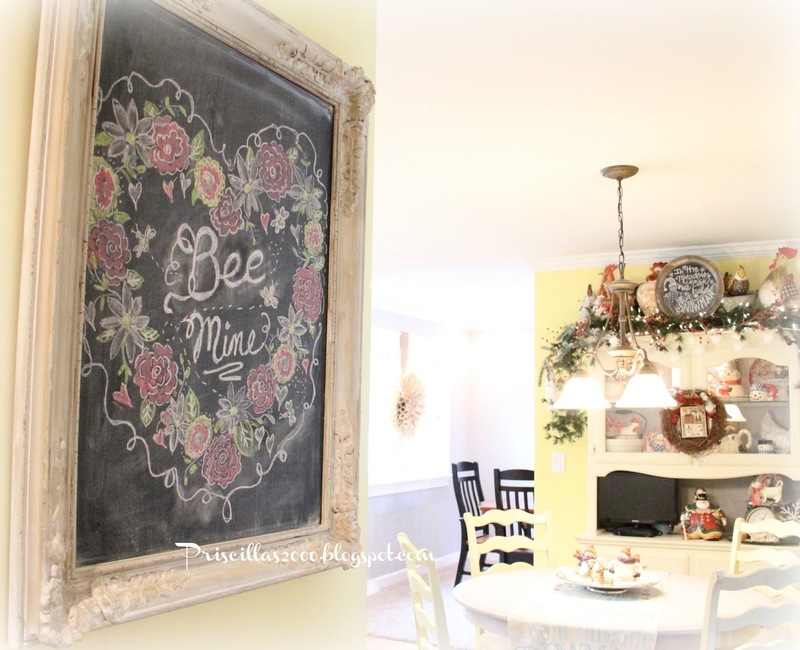 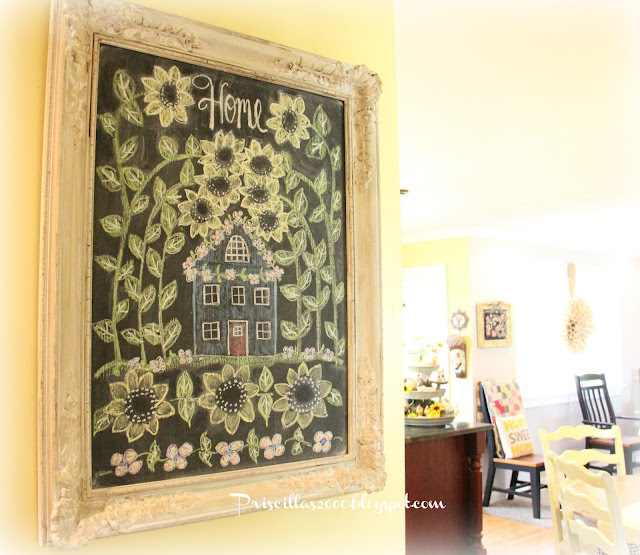 I love your website, your decorating and your cross stitch/business!